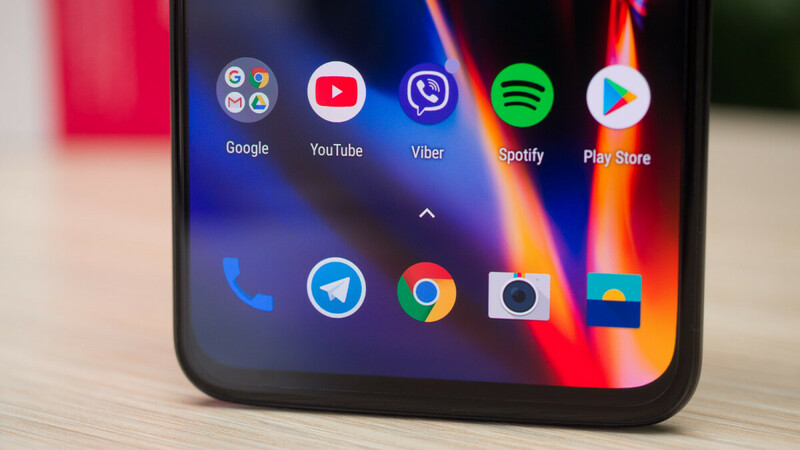 Android is the world's most popular operating system by a long shot and it has a gigantic ecosystem of apps with more than 2 million applications on the Google Play Store, but having so much choice often means that it’s hard to find the essential apps, the ones that truly enrich your experience in a meaningful way. That's what this selection of essential Android apps aims to do: help you discover the very best of the platform without the tiresome trial-and-error. This is not a conclusive list, but we've found that over the years, as we have tested tens if not hundreds of Android phones, we keep coming back to these exact apps. If there is one thing that makes them truly special is that they get updated regularly and have passed the test of time, but we're eager to hear your favorites in the comments below. If you are tired of the conservative look and functionality of Google's otherwise excellent Chrome browser, you might want to try one of these alternative solutions that will give you some variety. Brave Browser is a relatively new kid on the browser block that is based on Chromium and has a ton of useful features (including you can set it up to forbid websites from tracking you on the web). It's a lightweight and simple browser that gets the job done. More traditional options that keep getting refreshed are Dolphin, Firefox and Opera. Each of them is a solid solution. All of them share a core of functionality that they get right: tabs and tab switching, incognito modes, a dark mode and some neat extensions that give each of them their flavor. Yes, there is a ton of weather apps and unfortunately no one is perfect. The thing is... each of these apps is great in some particular geographical areas or forecast aspects. None of them is perfect. First, The Weather Channel. It's our first alternative because it has the best rain forecasts of all these applications (unless, you live in the Bay Area, where DarkSky rains supreme). Then, you have AccuWeather, which lives up to its name and in our testing is able to nail down the temperature with best accuracy, but it's rain forecasts are not nearly as accurate as The Weather Channel. Next up, Weather Underground has a very likable and usable interface and has a very accurate temperature forecasts and an above average accuracy for rain prediction. Finally, Yahoo Weather has the cleanest and best user interface of all of these weather apps and its forecast is very accurate as well. Keep in mind that all of these apps are either app supported or premium, unlike Google's own Weather app. Some charge a yearly fee, others require a one-time payment, and most of them have radars and more detailed weather info, so if you like what a weather app offers, you should probably buy it. Gmail is the best Android email client for most people, but if you are just not content with the interface or some other aspect, there are great alternatives as well. Our best runner up is Microsoft's Outlook that bundles functionality with great looks and added value. Blue Mail has great controls: an easily accessible Dark Theme and easy switching between different types of emails and account types. EasilyDo's Email is a clean and stutter-free email experience without unnecessary fluff. Finally, Nine is a $10 solution for businessmen with a ton of advanced features, integration with Exchange ActiveSync and a calendar to stay atop of your schedule. Most people would only need to use the excellent Google Calendar: it has all views that you need (we default to the excellent monthly view), it has color codes that allow you to sort and filter through your events in a glance, and you can just type Dinner with friends at 7pm tomorrow, and it will automatically add this to your events with the right time. Google Calendar is free and works great. Outlook for Android is a sleek mail client that is also a calendar, so you can use this app as a two-in-one. It may lack smart features (most other calendars do), but it has a very clean and tidy interface, and the app also syncs with Google Drive, so you can easily attach and view files from your cloud, and it is a great second choice. DigiCal does not have the smart features of Google Calendar either, but it comes with a ton of customization and viewing options. It has the forecast right in the calendar, it works smoothly and it gets the job done extremely well (you need to pay $5 for the premium version). Fabulous is not exactly a calendar app, but it functions like one: it allows you to reach your motivational goals and actually put them on a calendar. It's hard to imagine how one could improve something as straightforward as an alarm clock app, but Timely Alarm Clock manages to do it in both style and added usability. The app will wake you up gently with a gradually increasing volume of the alarm, and it will sync your alarms across different devices. AlarmMon does something different: it wakes you up by not giving you an option to turn off the alarm until you've completed a short game! And yes, this could be as infuriating, as fun, depending on your morning mood. Every since SwiftKey has gone free, the popularity of the swipe-based typing app has grown tremendously. SwiftKey is a nimble keyboard alternative for Android that allows you to customize your keyboard by choosing between tens of custom themes, but it is the speed of typing, as well as the rich language engine that recognizes your swipes and turns them into words that is the big highlight here. Google Keep is a note-taking app that is simple, fast, easy to use and packed with enough features to satisfy most users. Unless you are using notes as a pro in your daily job, chances are you don't need the much slower and more bloated Evernote. Google Keep allows you to color code your notes, so you can easily see what belongs where: for instance, I have set red as the color for my personal thoughts, yellow for lists of things like groceries, green for work-related ideas... you get the idea. You can also use tags to easier navigate around your notes when you amass more of them. Google Maps is the one and only mapping application that you will likely ever need. It is - hands down - the best and most detailed maps software out there, and we are infinitely grateful to Google for developing it. But sometimes you do need to get around town and using public transportation can be a pain. Citymapper, Moovit and Transit will help you deal with the inconveniences of scheduled public transport and make using it more pleasurable. Transit, for instance, is loaded with bus and train schedules, so you never miss your ride again. The app has public transportation schedules for over 100 cities and will even show you your bus approaching in real time on a map. Best of all, you can set a reminder to ring a few minutes before the bus arrives to your station, so you're perfectly on time. The stock market is a dynamic and stressful place to watch and track, but for those who want to track their portfolio on the go we've found three apps to be of best use: the simple Webull Stocks app is probably enough for most people, but the more invested one will appreciate the features built in Yahoo Finance and MSN Money. The latter two offer rich interface with all the key performance metrics for companies, fast-loading charts and useful related news. Mint is our favorite expense tracking app that will help you better manage your finances, and that's key to your wealth and sometimes even well-being. It aggregates all your personal finance accounts and investments into one place, so you can track your spending, create a budget, receive bill reminders, and save more money. You can also check your credit score for free. Banks charge hidden fees and use unfair exchange rates when you transfer money, so a significant portion of what you are sending goes to the bank. TransferWise is built around the idea of charging a fair exchange rate - not the artificially low exchange rate that your bank charges - for your transfers to save you money. It's an easy and straightforward interface and will be particularly useful to those sending money regularly abroad. Twilight will adjust the color temperature of your screen and turn it dimmer: terrible if you are looking at movies and images where color matters, but just great for night time reading. Why? Simple: the blue light emitted by the screen messes with your brain chemistry and that's the reason why you toss and turn in bed, and just cannot fall asleep after using your phone for a bit. With Twilight, you don't need to worry that a quick peak at the screen would ruin your sleep. The newer Blue Light Filter app also does a similar function with a more likable interface and a bit more customization options, so feel free to also check it out. There is a ton of custom Android launchers and many good ones among them, but Nova Launcher has remained our number one choice for years. Nova Launcher is well optimized and runs smoothly on all sorts of devices (especially on underpowered, affordable phones that often need it the most), and it comes in a free version and a paid one with extended functionality. The free version is totally fine, but we definitely recommend the premium version that supports the extremely useful icon resize functionality, as well as number count for missed notification per app, and a few other neat conveniences. We have selected three great Android launcher alternatives for you to check out. Microsoft Launcher is a clean and clutter-free solution, with a focus on stylish looks and a convenient button that you press one to change your wallpapers using Bing's carefully selected daily pictures. It comes with a neat side panel where you get a ton of useful widgets: recent and popular contacts, settings reminders, weather alerts and so on. Arrow also has a swipe up from the bottom gesture that brings a menu like Control Center on the iPhone, which is definitely useful (but this particular element of the launcher tends to stutter on some phones). The Google Now Launcher is probably the best way to get the stock and contemporary Android look as Google itself sees it. With the latest update, the Google Now Launcher allows you to normalize icon sizes so there are no longer huge icons contrasting with much tinier ones, and it even makes it possible to use your phone in landscape mode (which we find awesome). Apex Launcher has for a long time been the number one Nova Launcher alternative, offering a similar level of depth and customization. Take this iPhone users -- you can change your icons on Android! If you already use a custom launcher, you can download one of the many icon packs available on the Play Store (most are free or cost a dollar). We love the Pixel Icon Pack that brings the cool visuals of Android Nougat to your device, and we have provided three of our recent favorites for you to check out, but feel free to explore the Play Store and find the one that suits your style best. Sadly, most phones these days do not come with nearly enough customization options out of the box, and often the choice of wallpapers built on the phone is very limited. Luckily, there are some killer wallpaper apps on Android that can really make your screen come to life and feel... personal. Wallpapers by Google is one of the best options featuring a selection of trendy wallpapers (including catchy Satellite view of our beautiful planet Earth) that the app will rotate on a daily basis. Then, we have Muzei, developed by Google engineer Roman Nurik. Muzei has been recently updated adding integration with notification dropdown icons in Android 7 Nougat, and it's more stable now. The app allows you to set a small blur to your wallpapers, so that the image does not distract your from your apps. This way you get a gradient-like look that sets a mood, but does not distract. 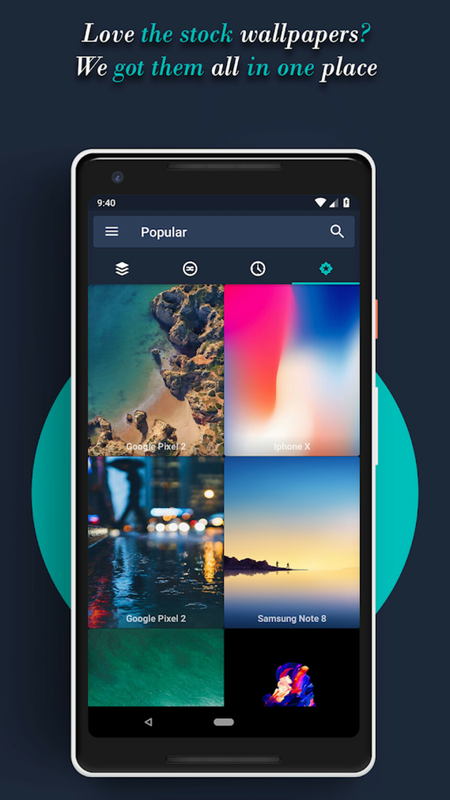 Last but not least, we have Wallp, an app that has accumulated all the stock wallpapers from different popular (and not so popular) phones. Needless to say, these are all very high-quality wallpapers that are worth checking out. Zooper Widget provides one of the best options for fully customizable widgets: you can fit widgets to any wallpaper and style, as it's easy to choose various backgrounds, fonts and styles for clock, calendar, time, weather and a bunch of other information that is widget-able. The other great widget app out there is KWGT, and both these solutions come with a ton of add-ons and extensions that will make your device unique and more functional via some creative widgets. Google Photos brings a small revolution in image storage and sharing: it comes with unlimited cloud storage for images of up to 16-megapixels (and you can choose to downsize and very slightly compress larger pictures) and for videos of up to 1080p. It also makes sharing images and albums extremely easy and working equally well on all platforms: iOS, Android, the web, and literally anything else with a browser. Finally, it's also got a brilliant new selection option that allows you to drag your finger and use it like a computer mouse. Quite magically, it also allows you to search for (and actually find) images by just typing some words like 'animals' that will filter out all images of animals in your photo collection. Magic. Google Photos is probably the most excellent app to keep your photos in the cloud, but when it comes to simplicity of organization, QuickPic is still the way to go on Android. Its overwhelmingly positive ratings show that simple works: it is a lightweight app with modern design and it connects to online storage servers. Snapseed was acquired by Google a couple of years ago for a good reason: it features an interface that allows you to edit images on your phone very easily using an intuitive swipe-based interface. You have the powerful option of selective adjustments, so that you can tap on a particular point and edit just a certain part of an image rather than the whole thing. Snapseed is ad-free, works smoothly, and is probably the best way to edit photos on Android. VSCO Cam is an app by the Visual Supply Company, a firm known for developing some of the best film-emulation filters for Adobe Lightroom, and it’s no surprise that this expertise has resulted in a collection of some amazing filters that you can get in VSCO Cam. The beauty of VSCO’s filters (or presets rather) is in the subtle measure of the artistic effects that will help you get a sense of the right amount of touch-ups needed for a photo, and also help you avoid overediting your images. CamScanner is a great app if you want to make sure that all of the important documents you have are scanned and residing safely in the cloud (and by safely, we mean away from thieves, maybe not so much from the NSA). CamScanner allows you to scan them and modify them so they look like high quality PDFs, not some cheap pictures taken on your cell phone. If you are seeking for a place to share your photos, see others images, and participate in a photo forum that would improve your photography, 500px and Flickr are two of our favorite places to visit. Both have new and modern apps with great visual style and both run very smoothly on Android. A third option that we enjoy using is EyeEm, an app that provides more dynamic community where you get to see highlighted photographers and find inspiration. GoPro's move into software territory started with the Quik video editing app and it's an excellent solution that will automatically create engaging video compilations that you can then easily share. Magisto is another well established video maker that will add music and effects to your videos and liven them up. VLC is known to be the video player that can easily chew through all sorts of format with ease on desktop, and it is similarly excellent on mobile. After years of testing, the app is out of beta and works solidly. Our previous favorite app, the MX Player has been around for years and remains a great video player that we keep on using. Its swipe-based interface is tailor-made for touch devices: swipe left and right to skip backwards and fast forward; swipe up or down (on the right half of a device) to adjust volume, and swipe up or down on the left half to adjust brightness. Spotify needs little introduction. The $10 music subscription service allows you to listen to more than 20 million songs unlimited and ad-free, a model that comes to replace the current buy-an-album one. You also have Spotify free which requires no paid subscription, but introduces ads and limitations. Sometimes you need to do something as simple as trim a part of a song. We have found that the Lexis Audio Editor does a good job as a wave editor, allowing you to trim with precision and easily export your creations. If you are a djay, chances are you do not rely on your phone, but in case you are on the go or something goes wrong, Android has djay2. The application works great on modern phones (and not so good on slightly older devices), and when it works it allows you plenty of options: from slowing down and speeding up songs, to some resourceful mixing techniques. If you are into music making and want to create some beats on the go, Nanoloop is one of our favorite tools on Android. Nanoloop combines sequencer, synthesizer and sampler in one package, and it's a very minimal yet beautifully done tool to create electronic music. Then, if are a music pro looking for an app to help you edit more complex projects, you can always rely on Caustic 3 and FL Studio Mobile. These complex apps will work better on a well-powered tablet, where the extra screen space is a welcome addition. Signal is a messaging app that allows you to have private conversations via both text messaging and voice calls. It is free, supports group calls and texts, and allows you to share media. Best of all, it's open source, so you can rest assured that all encryption is done in a proper manner and the ever-longer hands of the government won't reach your private life. The server also never has access to any of your communication and never stores any data. The creator of Russian social network VK.com Pavel Durov has now been officially removed from running its own product, but he has focused on creating Telegram, a secure messaging app. The app uses encryption and while it is not as hard-proof as Signal, it is a popular solution that seems safer than most other messengers out there. AccuBattery is a detailed battery application that gives a screen-on battery life estimate for your device and is extremely useful to nailing down which app uses how much battery resources. It's simple, well designed and there is both a free and a paid option (we recommend getting the latter). Greenify is a simple battery management app that makes sure that no app is abusing the system by taking up too much of its resources. It warns you about it and allows you to keep tabs on your battery life. Let's make one thing clear: unless you go into some third-party apps or open shady files you know nothing about, there is NO NEED to worry about anti-virus apps on Android. The clever sandboxing mechanism the platform is built upon, makes Android very secure. Yet, if you have some doubts about your device, these three are the best anti-virus apps around. BitDefender comes at a hefty price, but does an excellent job, while Norton is a freemium app that you can explore, and Avast is a nice third option to have. Google Drive is deeply integrated within the Android platform and it is an excellent service. We rarely use cables to transfer files these days: just sent them to this neat cloud app with 15GB of free storage that would be sufficient for many people. You can also buy a $2 / month plan that gives you 100 GB of space, or shell out $10 monthly for 1 TB of cloud storage. Then you have Dropbox that also offers an easy to use app with a 1 TB storage option that costs $100 a year. It is an equally excellent choice and it is up to you to decide which one you like better (we stick with Google Drive because of how it integrates with other Google services). Google's new Files Go file manager app might still be in beta, but it works great, features a clean interface and comes with superpowers like the ability to quickly send large files between two devices. It also helps you free up storage space on your device easily. Other options worth considering are the following: Asus' File Manager app allows you to get to your files in an organized manner and it is free and feature rich. Our two other go-to options are NextApp's File Explorer or the Astro File Manager, which provide a slightly different design, but very similar functionality. We have recently learned that AirDroid, our go-to app for wireless transfer of files between our laptops and phones, was not as secure as it should have been. Some updates have happened in the meantime, but this was enough to push it to the second place, behind the quite excellent AirMore that provides a nearly identical functionality, without all of the fluff that AirDroid has been adding recently. LastPass keeps your password and personal information safe. Lock your passwords in a secure vault, autofill web browser and app logins, and generate new, secure passwords. With LastPass, you only remember one password – your LastPass master password. Store logins, create online shopping profiles, generate strong passwords, track personal information in photo & audio notes, and more. 1Password, on the other hand, creates strong passwords for every site, and remembers them. If you have trouble remembering all of the different passwords you use, 1Password will do it for you. The new version of the app is full-featured and will work on both phones and tablets. And if there is one thing that we keep learning over the years, it's that security is the number one worry that mobile device users have. With this app, you can use ridiculously complex passwords (as generated by 1Password), and you can let the app remember them. A virtual private network (VPN) is a great tool for power users for all sorts of cases: from security, to accessing content that could for some reason be blocked in a particular region. The Opera Free VPN is our favorite Android VPN app for its simplicity and unbeatable price tag of free for the base version. You also have the Turbo VPN as an alternative, another well-esteablished application that will do the job well. If you are used to using torrent files for whatever reasons, Flud is probably the best BitTorrent client out there: clean, simple, with no download or upload restrictions, following closely the Material Design directives. It allows you to select which particular files of the torrent to download, gives you file and folder priorities, and has magnet link support. We provide you with two options to turn your phone into smart remote control: whether for goals to control anything on your laptop / desktop, or whether your phone has an infra-red beamer to control your TV or air conditioner. Sometimes laziness can feel good. Finally, given that we have our phones always in our pockets, it's worth using them for something that will actually benefit our health: for our workouts. We have a hard time recommending a full-blown gym app for phones since we believe that a gadget has no place in the gym where you workout, but for light workout and as a reminder to go for a run or do those famous 7-minute workouts to energize you while at the office, Runkeeper and 7-Minute Workout are two great applications. ESPN has rolled out a completely redesigned app for Android that features beautifully simplistic user-friendly style and allows you to easily stay informed about the latest news around your favorite sports team. Not just that, you get by-the-minute live score updates on games, as well as a news section that comes with plenty of videos. The focus of the new ESPN app are the following leagues: MLB, NFL, College Football, NBA, College Basketball, MLS, Cricket and more. If you want more scores, news and analysis, theScore excels at the first, while The Bleacher Report does very well in the latter two. Moves is a movement tracking app with a simple interface, but most importantly, it does not require you to constantly mess around with it. Just start it once, and it will track your steps, drives, cycling, and runs in the background. Plus, it will also map your daily activity on a map. The fact that the app has been acquired by Facebook testifies for the fact that you get a sleek and smooth experience. We all have those periods when you fall ill, and suddenly find yourself taking a handful of medications to get better sooner. Medisafe's Meds and Pills Reminder will help you keep track of when those meds are due in a simple and easy fashion. The Clue Period Tracker is the best application to track your period and while you probably will not care if you are a dude, your girlfriend surely will appreciate you showing this useful app to her. Hopper is a cool airfare service that sends you alerts when the time is right to buy a ticket, based on algorithms that predict if the prices are likely to go up, down, or stay sideways in the near future. That's not all there is to the new Hopper for Android, though, as it has one of the most comfortable to use designs we've seen from such apps, with no unnecessary functions and distractions, and with big, easy to tap on icons, entry fields and calendars. Hopper will feed you airfare alerts only when the prices to our place of choosing have hit the lowest spot, and are about to rise, so check it out if you are travelling, it might save you quite a few bucks on flight tickets. We also like Skyscanner with its eagle-eye view on different flight and ticket sellers, and it also comes with the promise to give you the best price for your flight. Fashionistas, unite! Well, at least take a look at these two apps that will give you a ton of cool new ideas on dressing up and styling it up. Houzz is a great hub for ideas for home design and renovation with a myriad of images that will help you visualize what you want to construct or change before doing a lot of mistakes on your own first. With an excellent writeup in the form of a weekly newsletter, Houzz has become our go-to place for those times when only changing something at home can help us make sense of the chaos in our minds. The new Yahoo under Marissa Mayer is an interesting concoction of a technology and a media company, and the Yahoo News Digest application is a brilliant illustration of the direction where Yahoo is going. The app is sleek and with thoughtful curation by human editors it presents with a morning and evening digets of the most important news from across the globe. We love the idea of having around 10 news pieces for every digest: you can quickly scroll between the leading topics, and get a sense of completion that news junkies, who otherwise tend to spend much more time digging for news, will appreciate. If you are someone who reads news as a job or a serious hobby, there is no better way to stay abreast of all that's going on than a full-blown news reader. After the pitiful demise of Google Reader, Feedly has emerged as the number one alternative with regular updates, slick interface, and even a premium tier offering even more functionality. Here is a useful app that is downright essential for travelers who want to top up at the cheapest price in any place: GasBuddy. This neat little app is particularly useful in the United States, where you can use it to find the gas station that offers the best deal of them all. Why would you need it? Well, if you never leave your hometown and already know all the gas stations there, you probably don't, for all else the reasons seem fairly obvious. Duolingo has brought a little revolution to language acquisition on a mobile device. Its simple, repetitive approach works well to introduce you to a language in all its four incarnations: reading, writing, speaking and listening. Duolingo currently allows you to learn Spanish, French, German, Portuguese, Italian, Dutch, Irish, Danish, Swedish, and English. We're looking forward to a similarly simple way to learn Asian languages! Khan Academy has amassed a huge number of lessons in both text and video to help you catch with all sorts of subjects: from basic maths to more complicated calculus, all explained within a system that makes it possible to continue only after you have mastered the content required. It's a great way to learn, especially for the sciences, but it also applies to the arts. Khan Academy offers articles in math (arithmetic, pre-algebra, algebra, geometry, trigonometry, statistics, calculus, linear algebra), science (biology, chemistry, physics), economics, and even the humanities with tutorials on art history, civics, finance, and more. Everyone is on Tinder these days, and that's what makes this simple 'hot or not' app be a good choice for those looking for a date, and maybe something more. We're not huge fans of the superficial approach to people that lays in the core of Tinder, but at the end of the day it's up to you to shape your relationships with people. IMDb is the world's largest movie database and as such it is an indispensable tool for movie buffs. Movie trailers, casts, reviews, and all sorts of flick paraphernalia adorn IMDb's free movie app, more than enough to grant it a place in this list. Tasty has arrived and taken over the cooking app world like a storm: sudden and unexpected. It's a great little app with its cool videos and it's our best choice for most people out there. Yummly is our second-favorite application for cooking, and while there are many others that are equally great, we highlight Yummly because of its awesome filters that allow you to discover dishes from various styles and cuisines easily. SimpleFeast is a more sophisticated application with a paid tier for those who want recipes from proven chefs and with proven excellence. Then, we also have the neat simple Recipe Book that is also a great option. Yelp is another service that has grown thanks to the excellent reviews of its users. Whether it's reviews for a gym club or a restaurant, chances are Yelp will help you make the right choice not just in the United States, but in most English-speaking territories.